The iEAST StreamAmp AMP-i50 powers passive speakers with 20~50W per channel. This small and lightweight amplifier is of great sound and energy efficient. With the metal casing, the amplifier is kept cool by the heat sink inside instead of noisy fans, operates silently. 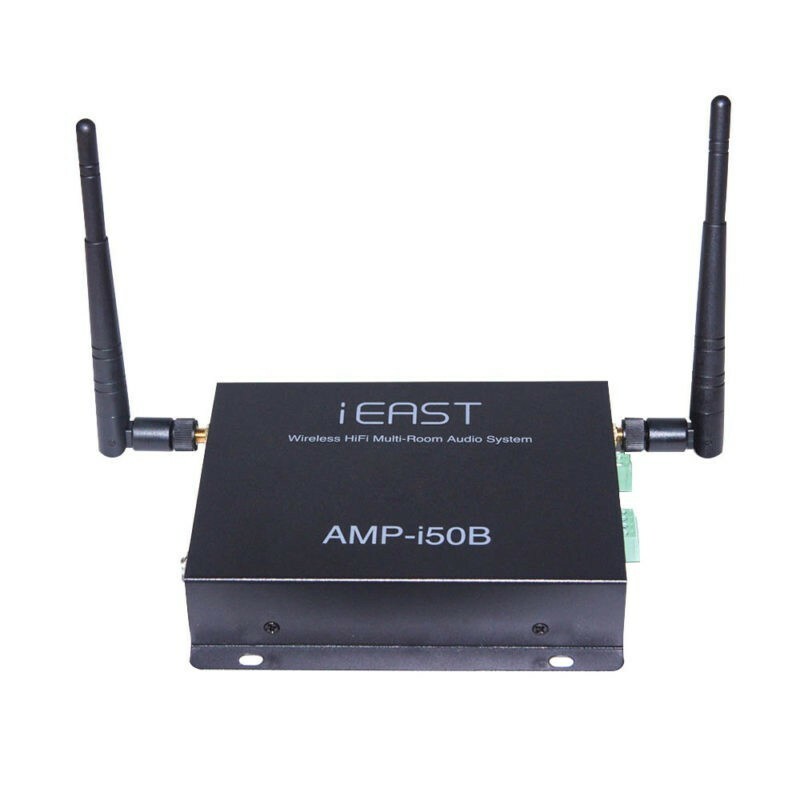 Connects to passive speakers of proper power, iEAST StreamAmp AMP-i50 will turn your traditional audio system into wireless, which allows you to control the wireless audio system in much more convenient way. 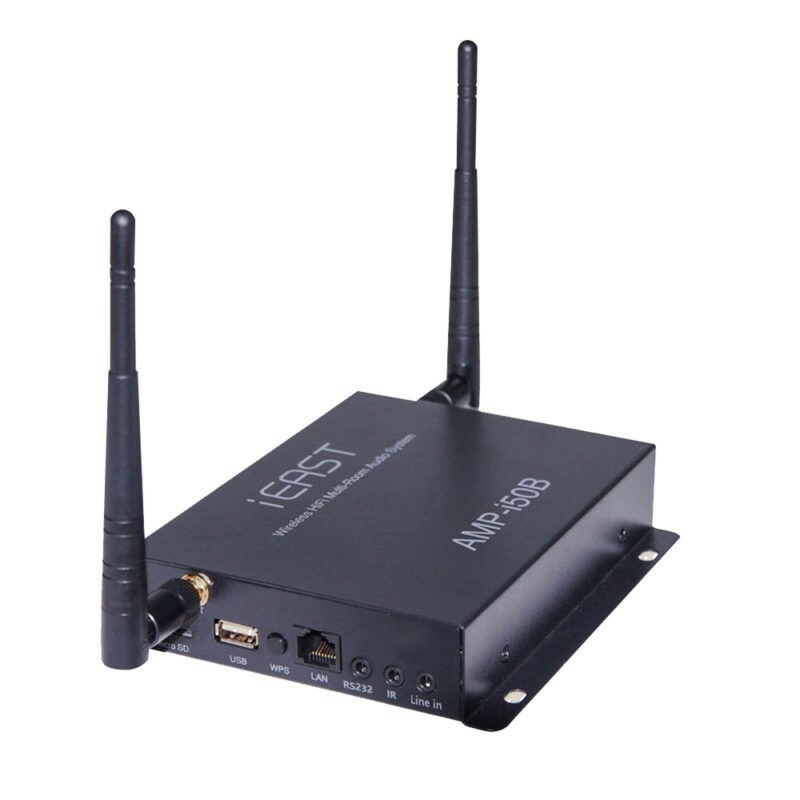 iEAST StreamAmp AMP-i50 doesnot require technical or wireless expertise. Each Connect the iEAST StreamAmp AMP-i50 to passive speakers in the room where you want to play music, connect to your home WiFi network with the iEAST Play application, which provides simple on-screen prompts and voice prompts. With several steps, you will be playing music in few minutes. This gives you a totally different experience without turning on computers in traditional way. Free iEAST Play applications for Android, iPhone, iPad and Mac let you comfortably control your audio system from the palm of your hand. Download the iEAST Play application of iOS version from App Store and Android version from Google Play. 1) Play the same song in every room in perfect sync. If you have passive speakers that connect to iEAST StreamAmp AMP-i50, You can easily group the devices and stream the same song to all rooms in perfect synchronization. You can tune into a radio station in kitchen, play a song from online music service to bedroom, stream local music from cellphone memory to living room in way. You can group different devices to different zones, each zone can play different songs. You can choose left channel, right channel and stereo mode on the application, which can make you. You can set the time on the application to turn off the streaming automatically in case you fall asleep or you only want to listen to music for certain time. This also makes your life more energy-saving. Set the alarm to wake up your favorite music or radio station automatically in one room or all rooms. iEAST Play application will automatically notify you If there is new firmware with new features and music services. Globally, you can freely upgrade your firmware to the latest version. You only have to click one button, the system will update automatically, and you will see on-screen prompts and hear voice prompts. 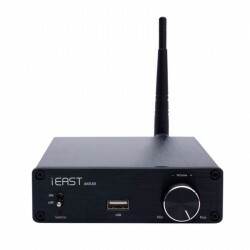 he i50B Audio Amplifier from iEAST is the optimal partner for every music enthusiastic. Connected to your home network the M5 allows you access to all internet radio stations and music stream services. 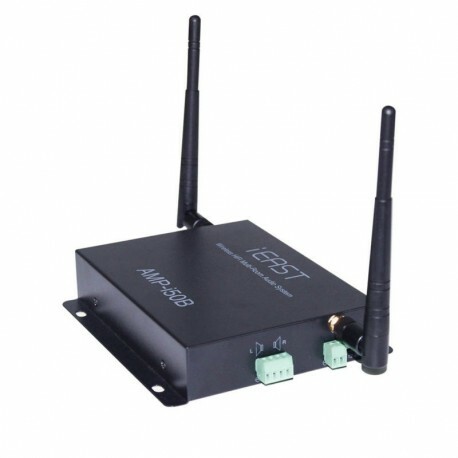 Besides Wifi, LAN and Bluetooth this device can also be connected over a RS232 interface. Like the models M30, AM160 & M5 the i50 is also multiroom enabled. Therefore you can connect with every device separated or together. All iEAST devices are synchronized and create a unique sound experience. Furthermore you can assign rooms to each device and combine different rooms with each other. The iEAST i50 module upgrades your soundsystem into a modern network soundsystem. Enjoy music in the complete house and control it from everywhere. In the times of music streaming that is a great addition to your Smart Home. The iEAST Multiroom devices are compatible to the Fibaro Homecenter 2, the POPP Hub 2 and the Razberry with Z-Way. So your Smart Home System can be connected with your sound system. compatible mit TuneIn, Spotify, vTuner, Ximalaya u.v.m. Supported music services: Spotify, Qobuz, TuneIn, iHeartRadio, Pandora, Napster, Internet Radio, QQ Music.. Audio line-in: RCA female connectors for more audio sources. USB: USB 2.0 to get music from flash drivers and mobile HDD. Connects to your home WiFi network with any 802.11b/g/n, 2.4 GHz broadcast-capable router for uninterrupted wireless streaming.